Yumi Goto self-portrait. Photo provided by Yumi Goto. 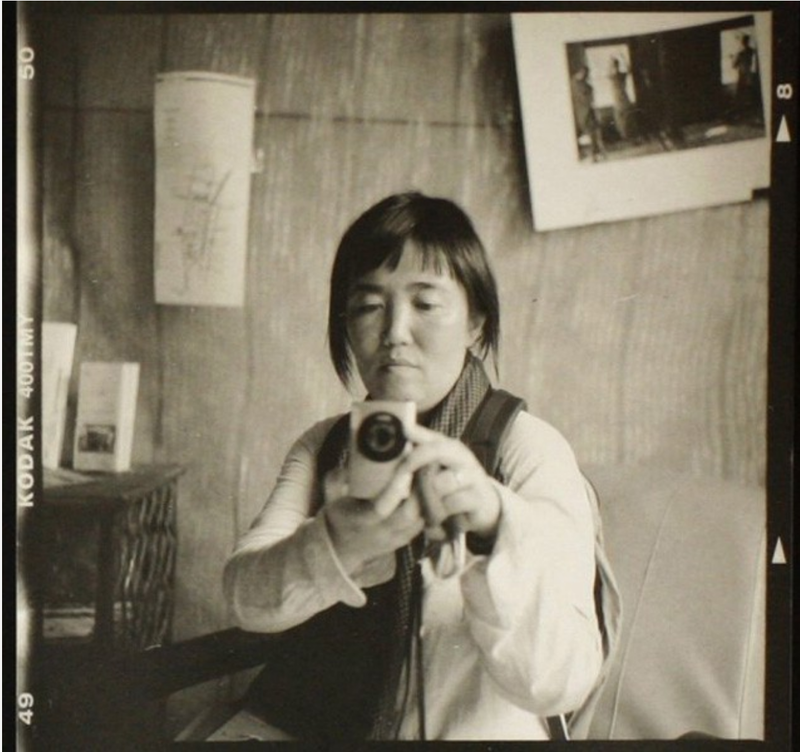 Editor’s note: Yumi Goto is an independent curator, editor, consultant and founder of the Reminders Photography Stronghold. 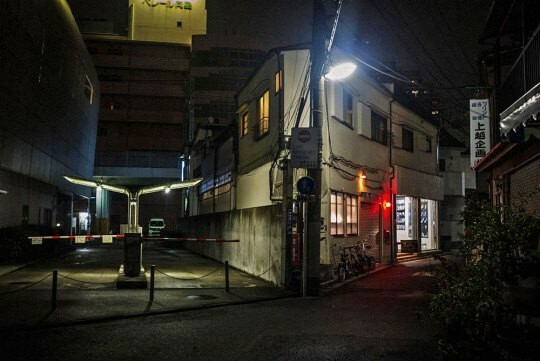 RPS is a multi-purpose alternative photographic space in Tokyo, Japan. 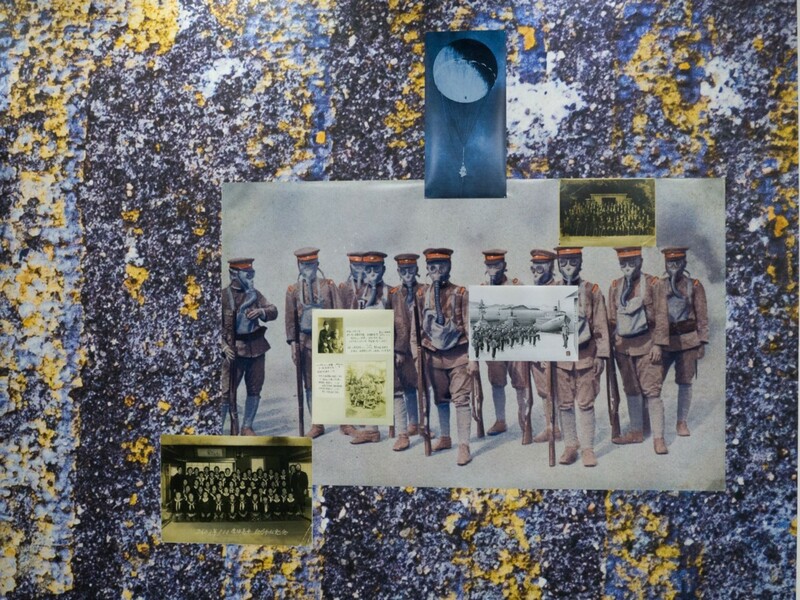 It is a curated membership gallery that holds exhibitions, workshops, events, a photo library and artist residencies. In its short three years of Masterclass and Photobook-as-Object workshops, many of the photobooks that were made have been shortlisted for various international book awards (see a full-list of notable recognitions here), and two artists, Zhang Ligie and Yukari Chikura, have won the Steidl Book Award Asia. The fourth Masterclass workshop is currently accepting applications for its October 2018 session. The deadline is June 20th. Learn more about the workshop and its requirements here. 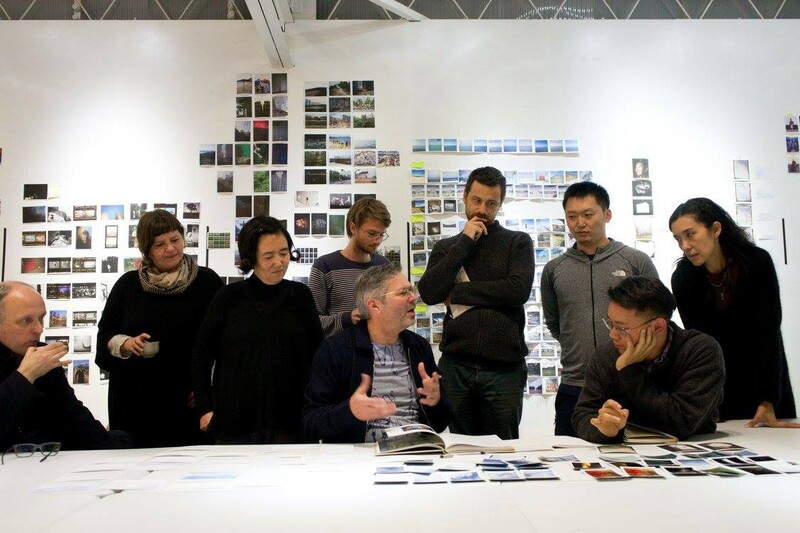 SJP: You curate, edit, consult, jury and conduct photobook making workshops. How did you get started with this kind of work? Can you tell me about how the Reminders Photography Stronghold began? YG: Before being in this space, I had been working in this field since 1997. It started with me helping my husband, who is a photojournalist, with promotion of his work and editing. Later, I would keep hearing from other photographers saying that they didn’t have any space to show their work; they didn’t have any way to gain exposure. I heard this over and over again, so I decided to do just make a space for them to have that visibility. In 1997, I started producing PDFx12, a monthly portfolio of documentary photographers available in PDF format that would give a voice to some of this work and a space for them to be heard and seen. SJP: Can you tell me about how the photobook workshops began? (l-r): 2017 RPS Masterclass; 2018 Atlas Lab Workshop with Akina Books and RPS. Photos provided by Reminders Photography Stronghold. YG: Do you know Jan Rosseel? Encountering him for the first time was really important for me. While I’m not a photographer, I am often working with them, and for me the interest isn’t just in the photographs themselves, but in telling a larger story that goes beyond the photographs. People often say that a photograph speaks a lot, but I actually don’t think that. Things are more complicated. So I was wondering how you make really complicated subjects more visible, and faithful to this sense of complexity. I was looking for a format in which to do this. And when I met Jan Rosseel, he had that format. I met him really by accident. I was in the Netherlands for the Noorderlicht Photo Festival. I was just visiting, but there was a workshop in the Hague. He was one of the workshop participants that I encountered. He had made a book for his thesis project, Belgian Autumn. The book describes the events surrounding a gang terrorizing Belgian supermarkets with these violent armed robberies over a few years. Twenty-eight people were killed, and one of these was Jan’s father. Because it happened in the 1980’s it is of course impossible to photograph now, but he reconstructed parts of it, interviewed people who had been there and lived through it, collected police reports, copies of evidence and eyewitness accounts. He produced a book with these many, many layers. The book has a complicated format; it’s not just as easy as flipping pages. There are all of these inserts, there are maps — many elements. 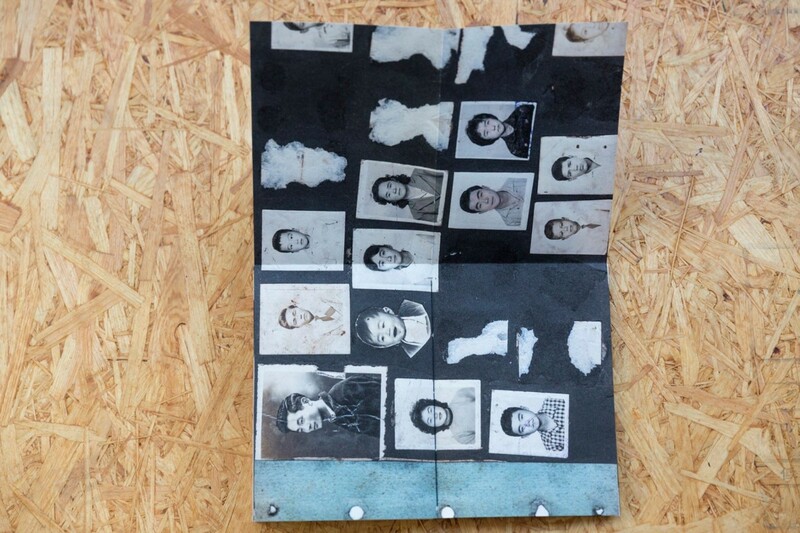 He made an edition of 28 for his thesis project, one for each of the victims. And I really liked the intentionality of that: he didn’t just make up a number. He had a number for a specific reason. Each book was bound by this big rubber band, and the band for each book had one of the victim’s names on it. Every detail had important meaning. And to me this just seemed perfect. When we started talking he mentioned that he had been planning to come to Japan. So I just invited him to come and teach a workshop with me. And he did. The first workshop happened in 2014. Kazuma Obara’s book, A Silent History, came out of that first workshop. (l-r) Julie Glassberg’s Bike Kill (RPS Masterclass 2015); Junpei Ueda’s My Life (RPS Photobook as Object); Hajimi Kamura’s Snowflake Dog Man (RPS Masterclass 2015). Photos provided by Reminders Photography Stronghold. And I knew Teun van der Heijden — I’ve known him for a long time for his remarkable book designing — and he had actually worked with Jan on the design for this book. So we did the first Masterclass with Teun in 2015. Hajimi Kamura did Snowflake Dog Man; Julie Glassberg did Bike Kill. Junpei Ueda did My Life in the second Photobook-as-Object workshop that Jan and I ran. While I am involved with the Masterclass, I am more behind-the-scenes than in the Photobook-as-Object workshop. The Masterclass is run by Masters, and I step back because I want to respect how they teach. So I facilitate. 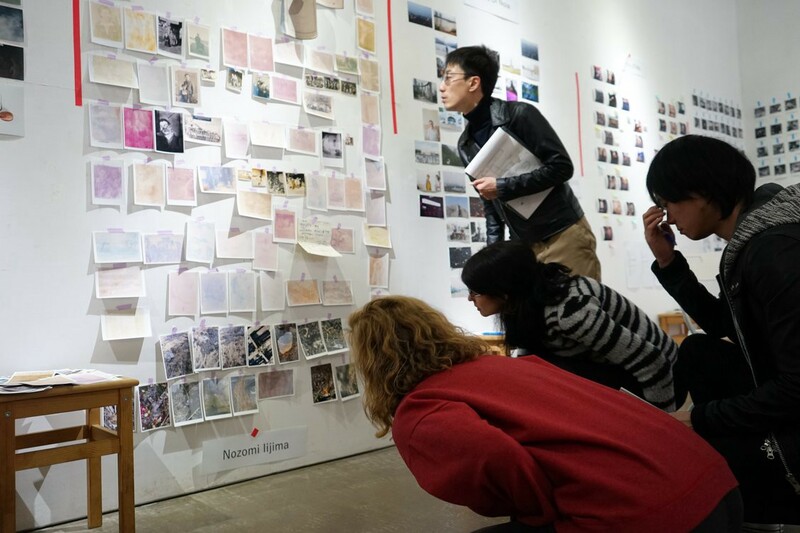 SJP: What are the principle differences between the two workshops: the Photobook-as-Object and the Masterclass? YG: I get this question often, so I think it must seem confusing to people. The amount of contact time is the same between the two workshops: three days one week and then three days another week — a total of six days — but neither are straight through. In the Photobook-as-Object class they have a three-day session one week, Friday-Sunday and then another the next week, Friday-Sunday. And in between they work on their own. But in the Masterclass there is a buffer week in between the two contact-time work sessions. Also: in the Photobook-as-Object workshop, participants get two sessions with us (Jan and I) before the workshop itself. We help them develop their in-progress projects with these sessions. In the first session, we will look through all of their material and give them suggestions. In the next session they have to come back to us with something based on our suggestions. For the Masterclass there are no pre-sessions. They’re supposed to come with a complete project idea and work. In the class itself they can try and go for making an artist’s book. And after the Masterclass, they can have two follow-up sessions with us. We will also organize a showcase for them a few months later. And if they do an artist’s book we will take care of the promotion and distribution. 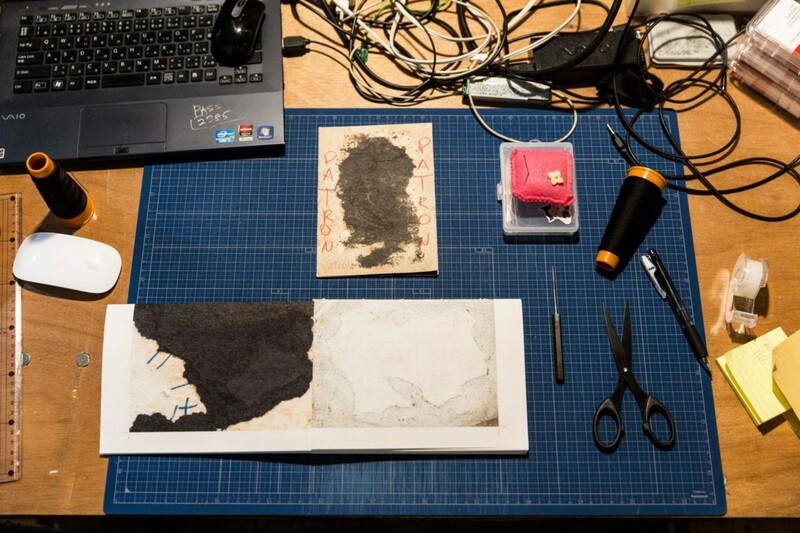 Around 70% of the participants go for making an artist’s book. And when they do make one, they are capable of reaching audiences that the photographer may not have otherwise. Most of the artist books made in the workshop that we distribute sell out, and the students can at the very least recoup their cost of the bookmaking and the cost of the workshop. Giancarlo’s book, The Shibayamas, from our last workshop, sold out of all of his 99 edition run, and it’s shortlisted for the Arles Dummy Book Award. SJP: So we’ve talked about the workshops, but the Reminders Photography Stronghold isn’t just about the workshops. Can you explain what the Reminders project is, and how it began? YG: Reminders Photography Stronghold is the name of the space. You recall that I mentioned beginning this career with my husband’s work. My husband had for a very long time been working in South America. He has photographed so many things and so many stories. But most of the time, his work did not get published. This was very frustrating for him, but I also found myself feeling very sorry for the subjects of his photographs. If their stories aren’t being told, it’s almost as if they don’t exist, or that these events that happened to them never occurred. I was fascinated with this, and I wanted to find a way to help these stories get told. To me, the name “Reminders” means something about someone taking care of things. It started with making the PDF publication, and sharing photographer’s work that wasn’t getting shown to other people. It was the first work in photography that I had done that wasn’t connected to my husband. Then people began asking me if I wanted to curate this or that festival; did I want to do some judging? I haven’t had a physical space to work out of for most of the time I’ve been working in this field. I opened this gallery space in Tokyo in 2012. I think of it as an alternative art space: we have exhibitions, host workshops, there’s a photo library here. Every month we have an exhibition and recently we’ve also developed grants for artists. The grant can only offer the space here to use right now; we don’t cover travel or production costs. But we offer two of these kinds of grants a year. SJP: How connected are you to the history of photobooks as they have developed in Japan, especially those of the Provoke-era? Those photographers were working in non-traditional ways with the book structure, and they were also working closely with book designers. Do you see what you’re doing as a part of that lineage? YG: Not especially. For me, the similarity would not be with those photographers or books, except maybe Kikuji Kawada, who did The Map. Kiyoshi Suzuki is also important to me as someone who really works with the book dummy, and who has been working for a long time, even throughout this time period that you mentioned. He hasn’t been a full-time photographer. He also worked as a sign-painting artist as a way to support his family. But he made a very beautiful photobook, Soul and Soul. People like Eikoh Hosoe are great photographers, but Kiyoshi Suzuki is more my kind of idol, and more of an inspiration for what we are doing with Reminders. SJP: What advice would you give to a photographer who’s interested in making these kinds of photo books but can’t afford to go to Japan to attend the workshops? YG: Most importantly they have to know that if they’re working with a very personal subject, it can’t be too personal. It has to have the capacity to be universal in meaning, too. A photographer isn’t just making the book for themselves, and it’s pretty important to realize that. 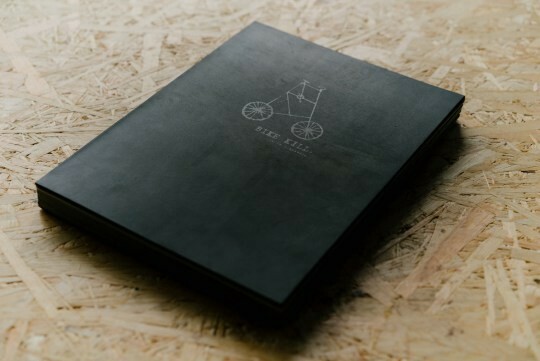 The book is to be shared with other people. So a photographer needs to know how to develop an idea from the personal level to the universal. Teun van der Heyden shared a great story with us about Donald Weber’s book Interrogations. It takes place in the Ukraine. When Donald showed the dummy to Teun, the dummy had so many different kind of images, but the only ones Teun was interested in were portraits of the guys who were interrogated in the room. So he asked Donald if he was willing to go back and shoot more photos like this. It’s a very crazy kind of suggestion because it’s one thing to get permission once, but then to go back and make similar kind of photographs a second time is really difficult. But then Donald did it. That’s how they made the book better. I think many people they think, “Oh I’m finished shooting” but in many cases they get to the workshop and they find out that they are not finished. And then through this bookmaking process they realize or have found that they still have more to do. They learn to look more carefully at things. SJP: Advice to book-making aspiring photographers: don’t work in a vacuum. YG: Yes. You know how some people when editing photographs will tell a photographer, “Less is more?” Well, if they participate in our workshop, more is more. Don’t bring us just your “A” edit. Bring us “B” and “C” and “D” and even “E.” Often times we’ll find the most interesting images and possibilities are in the “E” edit. Images the photographer never even seriously considered. Photographers get attached to their “A” edit, but it’s usually very boring! It’s a portfolio, or images that could be from an exhibition catalog. It’s not a story. The kinds of books that we are producing have narratives. 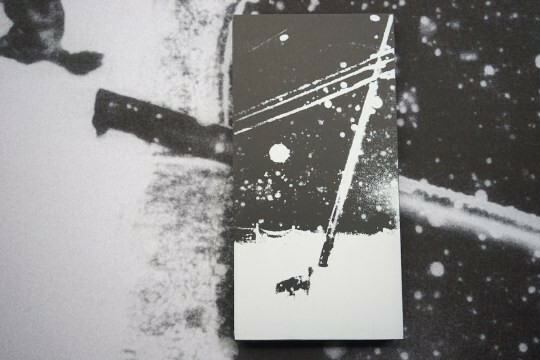 (l-r) Hiroshima Graph — Rabbits Abandon Their Children, © Yoshikatsu Fujii, RPS Masterclass 2017; Photobook as Object Mexcio DF Workshop, 2018. Photos provided by Reminders Photography Stronghold. SJP: One thing that I love about the books Reminders produces is that they contain all of this ephemera, all of these other layers. They could be news clippings or personal photographs or what-you-will. They’re like different characters in a novel, and they all need a chance to say what they have to say. There’s not just one voice on the stage. YG: Yes. With the narratives we end up with, the photographer perhaps didn’t shoot with the intention of telling that exact story, the story still works in a sense, somehow. It graphically works: each page’s relationship to the next page, it’s working. So then why not do that, if it’s better? SJP: I’ve heard you talk about the importance of telling stories with photographs and with Reminders you’re trying to provide a space where stories can be told. So if photography is storytelling, then that would make you the storyteller of storytellers. You tell the stories of the other photographers’ stories. Can you talk a little bit about the relationship of somebody who works with photography and photographers, but is not the image maker themselves? What is that like? YG: I really want to listen to a story. By seeing images, of course we can do something very nice, but then by listening to something being told to me, I can fantasize about more than just the images in front of me. It’s interesting that often the photographer who takes the pictures themselves, they don’t even know what the story is! They don’t see things in that way. They need to have to have a very good imagination and then they have to be able to fantasize and then ask, “What if?” Always: “What if?” I think my part is to help make them realize what they are doing. The photographers need to consider that just because they made the photographs does not mean that they are the first person to consider or understand the subject that they photographed. Often cases they’re not! They only see what’s in front of them, but they don’t see the whole picture. SJP: Do you have photographers who come to the workshop thinking they’re going to tell one story and then when they start working with you in the workshop are working — whether with the Masterclass with the Photograph-as-Object, but with the other instructors — that they tell they ended up through the process of that telling a completely different story? YG: Well, it’s not completely different; it ends up being related. The photographer will realize: “Oh yes! You know, I never even thought about that possibility! Jan is more of a photographer storyteller; Teun and I tend to fantasize about so many different kinds of story possibilities. We’re always listening and trying to see things — we are always fantasizing. This ability to fantasize is really important for making a book that’s almost like literature in its content. As a photographer you might miss this possibility, you might miss that one. They can come in with a very narrow vision. But here, we see if we can open them up and widen this vision. SJP: It is like vision, right? It’s like tunnel vision versus peripheral vision. You’re able to see around the sides of something. Can you give an example of where that happening in one of the workshops? Giancarlo Shibayama’s The Shibayamas, RPS Masterclass 2017. Photo provided by Reminders Photography Stronghold. In-process images from Giancarlo Shibayama’s making of The Shibayamas, for the RPS Masterclass 2017 session. Photos provided by Reminders Photography Stronghold. 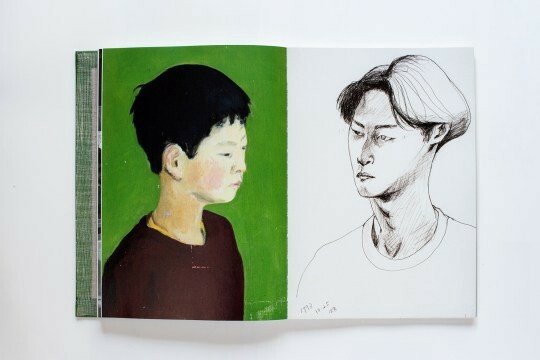 YG: Giancarlo Shibayama is the best example for me, I think because if you see this book, when he came to the workshop, it was only with this this one idea for the book that he came with — even with less content than the one I am showing you now. He was playing with the idea of structure, and that was interesting to me. But he hadn’t really thought about why he needed this structure for this content, to tell this particular story. He told me that he had this beautiful family album of photographs. Then at his grandfather’s funeral, everybody came and they were taking the photographs out from the album. So he saw these torn-off markings of where the photographs used to me as a kind of map. He wanted to use it as a metaphor. It was very, very basic. He only had these images. But then I wanted to make this story not only about identity and the representation of the map. But anyway, when I was talking to him, he had a really fascinating story: because 100 years ago if you traveled to Peru from Japan, the only way to get there was by taking a ship. His grandfather was only a year old; he was still baby. His grandfather was still baby when he was a baby with his parents, on this ship for more than a month. That’s an amazing journey. And impossible to me; I wouldn’t want to do that now, no one would! As I was listening to him I was thinking: you know, why don’t you just do this story of his journey from an infant to when he was 80 years old, his whole history? Because this also chronicles a very interesting time period, in which he not only he came to Peru but also a larger story about Japanese immigrants in Peru and what their lives were like. And so he developed this book. So as you flip through it, you can see many archival documents and in real time how these Japanese immigrants were living in Peru and also you get a sense of almost 100 years history of Japanese immigration through his grandfather. Right? So it’s a great example from going from the idea of this map to this larger book and story, and of incorporating all of these stories into one book. 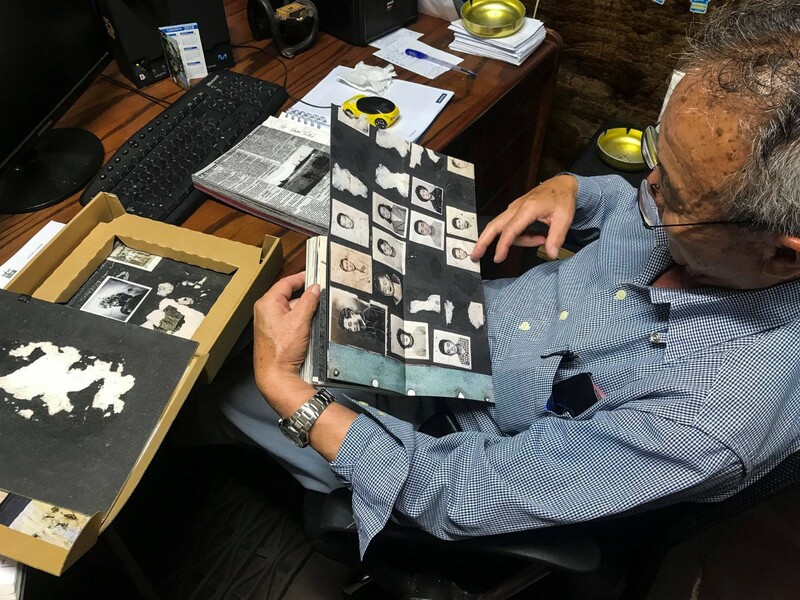 Giancarlo found so many interesting documents of when they first came to Peru. When his family went through the immigration process, the officials made a mistake with their name. So it’s very interesting because in all of these documents, there’s this typo of their name. Even at this cemetery, they even made this typo on their gravestone! So it’s really a story told through all of these layers. So you make this book because you want to somehow properly illustrate this grandfather’s life. But in the process, you also get to know a story about Japanese immigration, and what the Japanese immigrant experience in Peru is like. So that’s great example of the kinds of things that happen in the workshop. SJP: Is there something else remaining with the project and with Reminders that you want to do that you’re not doing yet? Is there something new on the horizon? 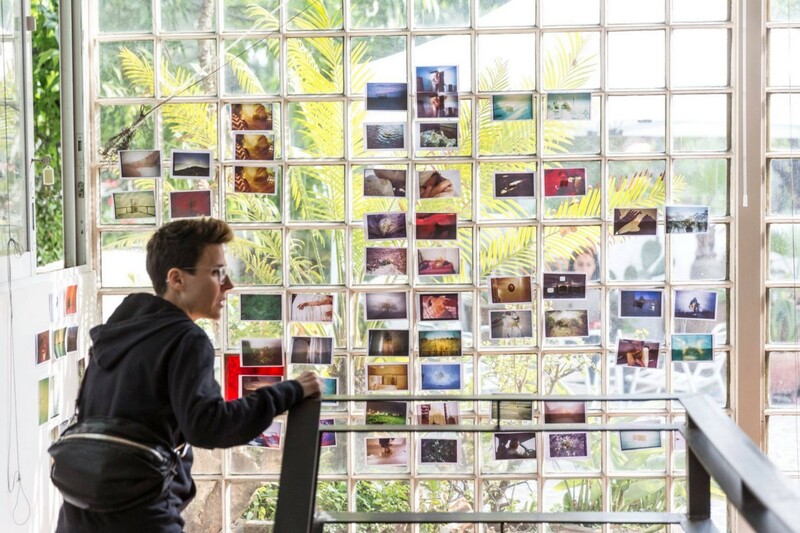 What is next for Reminders Photography Stronghold? The Reminders Photography Stronghold space in Tokyo, Japan. Photo provided by Reminders Photography Stronghold. YG: I want to make another Reminders Photography Stronghold! Do you know the festival Kyotographie? I’ve been thinking of another stronghold in a really traditional Japanese location, like Kyoto. So that’s something I’m kind of planning, but I don’t know when. I’m really busy here: I do exhibitions, I have a library, I can accommodate someone come here to do a residency, I do the workshops. I’m very fortunate because, because I started out very frustrated and looking for something, and then I just come across the answer. This is my fate: I was looking for a format for storytelling, wondering what’s the best format for this. And then I came across Jan Rosseel, and we started the bookmaking workshop and now we’re branching out and reaching people like your readers. We are going to the Photo Bangkok. We just did a new Photobook as Object in New Zealand for Photobook Who Cares?, So this year, Bangkok and ISSP in Latvia? And then of course I do judging and curating. I’m going to the Netherlands and doing some curating there; and right now I’m working with two artists from Japan and we are making books. You know, I haven’t been to the US yet since having this space. Last year we also submitted to be in the New York Art Book Fair, but we were not accepted. YG: Yes. But this year there has been some nice developments. Sandra Phillips, who just retired from SF MOMA, she asked if I was interested in doing something with the San Francisco book fair, but it just wasn’t possible at the time. We like to have assistance from workshop participants when we go to festivals. We had Giancarlo in Mexico and at GETXO in Spain. It’s good to have someone that already knows the workshop to help us. You know I don’t think we have had any American participants yet. We now have more foreign participants now and less Japanese. Foreign participants are now at 60 percent of the workshop. SJP: Yumi, thank you so much for your time and generosity in speaking with me. Yumi: You’re welcome. Thank you once more for the opportunity.